The Department of Communication at Barry University welcomes you to an ideal environment for learning and achievement in this challenging field. 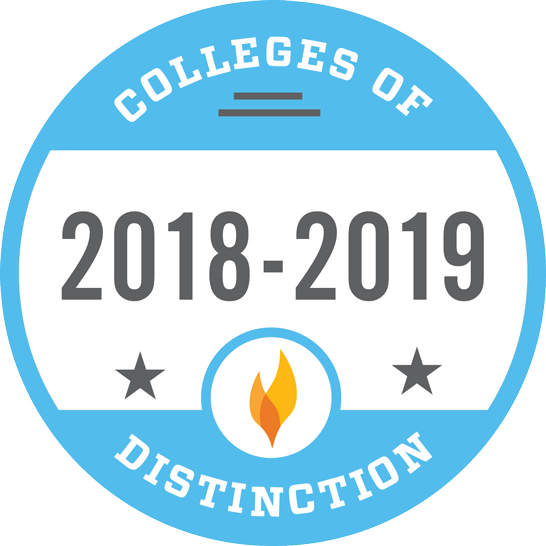 Small class sizes, accessible and mentoring faculty, and industry-standard facilities, all rooted in a liberal arts program, are the keys to our students’ success. Gain knowledge of all aspects of advertising including creative process and strategy, planning and positioning, research and culture; develop effective advertising campaigns in preparation for a wide variety of professional opportunities. Also offered is a specialization in international advertising, or pursue a minor in advertising. 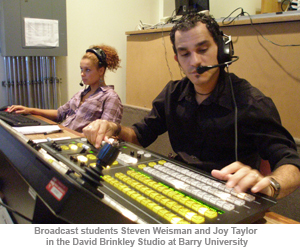 Designed for students considering a career in television/video and related broadcast fields. Provides an integrated experience in order to learn how to report, write, anchor, produce, direct, and edit for traditional media such as radio and television, and also how to apply these skills to social media and the Internet. 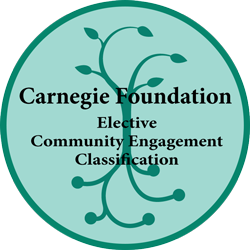 Broad-based program designed for students seeking a generalist's orientation to the communication discipline. Students develop a core knowledge of persuasive strategies and the human communication process. Students may also pursue a minor in communication and media studies. Provides a solid background in theory and methods. Students gain problem solving and critical thinking skills, knowledge of basic principles of written communication, and application of principles to world situations. Students may also pursue a minor in public relations. Each of our students is supported by dedicated faculty and staff as well as specialized facilities such as the David Brinkley Studio complex. Additionally, students from all communication majors find a creative outlet in WBRY Radio, the student run station heard via broadcast, cable, and the Internet. If you are interested in one of our degree programs, then we invite you to visit us in beautiful Miami Shores, Florida. Contact us to arrange a meeting with the faculty in your area of interest and see if the Department of Communication at Barry University is right for you.